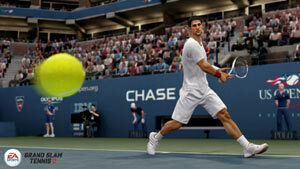 Feel the true excitement and emotion of championship tennis with EA SPORTS Grand Slam Tennis 2. For the first time in HD and on the next generation platforms, experience the thrill of winning at Wimbledon and capturing all four Grand Slam tournaments. Rise to stardom with the revolutionary Total Racquet Control as you challenge a deep roster of elite players, including Djokovic, Federer, Nadal, Sharapova, Borg, and McEnroe. With immersive PlayStation Move support, authentic gameplay, ESPN broadcast integration, a deep 10-year career mode and so much more, get ready to Swing the racquet like a Grand Slam champion with Grand Slam Tennis 2. 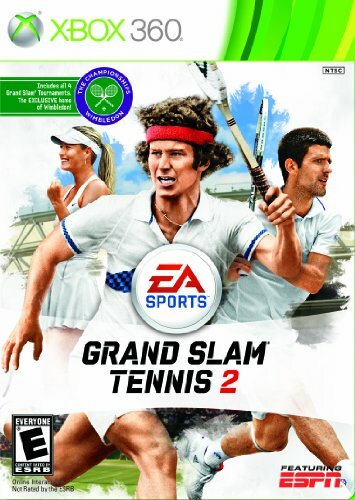 Grand Slam Tennis 2 is a Tennis simulation game that allows players to experience all four of tennis' Grand Slam tournaments, the Australian Open, the French Open, Wimbledon and the US Open in high-definition on Next-Gen consoles for the first time. 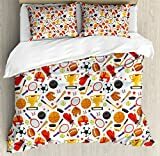 The game features more than 20 of the greatest players of all-time including current top players Novak Djokovic, Rafael Nadal, Roger Federer, Serena and Venus Williams and Maria Sharapova, as well as immortal past champions like John McEnroe, Björn Borg and others. Additional features include: the option to control all shots with a single analog stick, AI specific to real pro player tendencies and tactics, a 10-year career mode and ESPN broadcast integration. Feel the true excitement and emotion of championship tennis with Grand Slam Tennis 2. For the first time in HD and on the next generation platforms, experience the thrill of winning at the Championships at Wimbledon as well as capturing the other three Grand Slam tournaments, the Australian Open in Melbourne, the French Open at Roland Garros in Paris and the US Open at the Billy Jean King Tennis Center at Flushing Meadows, New York. Rise to stardom with the revolutionary Total Racquet Control as you challenge a deep roster of elite players, including Novak Djokovic, Rafael Nadal, Roger Federer, Maria Sharapova, Björn Borg, and John McEnroe. With authentic gameplay, ESPN broadcast integration, a deep 10-year career mode and so much more, get ready to swing the racquet like a Grand Slam champion with Grand Slam Tennis 2. All four of pro tennis' Grand Slam tournaments presented high definition for the first time. All-New Total Racquet Control - Control every shot with the right analog stick, smashing forehands, backhands, overheads and volleys with precision, accuracy and power. Utilize this innovative control system to take your game to the top. And if you prefer the old school button controls, those are still available. 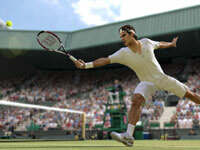 Become a Champion - Become a true Grand Slam tournament champion by capturing all four major championships in succession. The prestige of some of the most historic events in tennis come alive like never before, including the Australian Open, French Open, US Open and exclusive to EA Sports Grand Slam Tennis franchise - Wimbledon. Legends of Now and Then - Play with or against more than 20 of the greatest players to ever grace the courts, including Roger Federer, Rafael Nadal, Novak Djokovic, Björn Borg, Maria Sharapova, Serena and Venus Williams and exclusive to EA Sports Grand Slam Tennis franchise, seventeen-time winner of a Grand Slam tournaments in singles and doubles play, John McEnroe. Professional, Realistic, Organic (P.R.O.). AI - The playing styles and behaviors of the sport's greatest stars are captured right down to their signature swings and emotional reactions. Realistic tactics and strategies are your keys to success against each legend whether playing on hard court, clay or grass. The organic artificial intelligence adapts to your game so there's never a dull moment. ESPN Grand Slam Tournament Classics - Relive some of the most memorable moments in tennis. From Borg versus McEnroe, to Nadal versus Federer, play your way through history unlocking up to 25 amazing moments of Grand Slam tournaments. A Deep Tennis Experience - Play countless hours of tennis in Grand Slam Career mode – singles and doubles, through a 10-year career or battle online. A wide variety of online gameplay features, Photo Game Face and more keep your experience fresh and authentic.